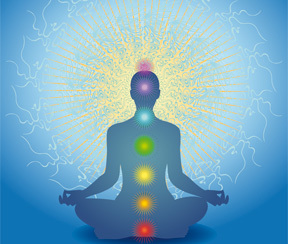 Activate your seven chakras, or centers of energy - each associated with a different color of the spectrum and a different spiritual center in your body. Allow your newly discovered energy the opportunity to manifest itself on canvas while experiencing the subtle and understated beauty of Havelland. Jeanette Fraede-Kollwig, certified yoga teacher in Berlin, Germany, www.yogaundatem.com, will accompany you on a journey of self-discovery, personal growth and healing, while you enjoy the waterscapes of this little-known region of the former East Germany. You’ll stay in a turn-of-the century farm house in Strodehne, paint in a spacious brick barn or outside in the countryside, and enjoy most of your meals outdoors overlooking the Havel River. This river is a vital lifeline for northern migratory birds in Naturpark Westhavelland, one of the largest and most important wetlands in middle Europe. This course runs over the weekend and includes an intensive, two-hour yoga session with meditation in the morning and afternoon, withplenty of time in the afternoon for painting. After each of the four yoga sessions, the artists will be limited to the colors, which have already been covered in the yoga course. chakra), may be used. On day two, following an introduction to yellow (solar plexus chakra) and green (heart chakra), four colors of the previous lessons may be incorporated into the painting. Jeanette will accompany you on the yoga road, while the natural beauty of Havelland will inspire and motivate you to release your creative energies! Time: Friday afternoon to Sunday afternoon, 1 90-minute session of yoga and meditation on Friday and again on Sunday, 2 90-minute sessions on Saturday. Three hours of painting on Saturday afternoon, and whenever the spirit moves you!